Provides a clean feeling of freshness that awakens the eyes as soon as it is applied. 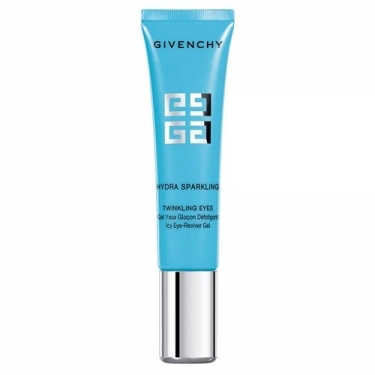 DESCRIPTION: Hydra Sparkling Twinkling Eyes from Givenchy is a colorless "ice effect" gel that slides on the skin like a cool, blurry veil that revives the eyes and visibly reduces signs of fatigue. Day after day, the skin stains thin lines and the dark circles undergo a visible reduction. More open, relaxed and luminous, the look shines with freshness and beauty. A Hydra-Sparkling innovation, Twinkling Eyes refreshes, moisturizes, illuminates and corrects the eye contour. Morning and evening, apply under the eye and gently touch with a move out.